After weeks of planning, the international movement inviting teens to take action against climate change because it is “the last hour to do so” dubbed by the hashtag “#ThisIsZeroHour” came alive in one powerful youth march. The Zero Hour Fort Lauderdale Youth Climate March, planned directly by American Heritage alumni and students, marched in Esplanade Park in Fort Lauderdale from 10:00 a.m. to 1:00 p.m. on Saturday, July 21, 2018. Heritage alumna Faith Ward, teen activist and incoming freshman at Oberlin College, became the leader of the Fort Lauderdale march after reaching out to Marjory Stoneman Douglas junior Emma Gonzalez on Twitter in late May. Gonzalez expressed support for the movement and connected Ward to the creator of the march. From there, Ward took charge. She immediately gathered her team of Heritage students and separated them into four sections: logistics, partnerships, communications and fundraising. Alumna Sophia Donskoi, previous Executive Producer of WAHS and incoming freshman at the University of California Los Angeles (UCLA), led communications with another alumna, Ruhi Mansey, incoming freshman at the University of Southern California (USC) and the other previous Executive Producer of WAHS. Donskoi created promotional materials including the flyers and “March Tips.” At one point, she convinced an environmental company to ship her a box of 250 packs of sustainable napkins. Emerald Green, a sustainable product company, also pledged their support by showing interest in setting up a booth and wanted to donate some of their products. However, while communications thrived, fundraising struggled, and as the big day got closer, more problems arose. An organization called “4ocean” scheduled their beach cleanup on the same day and time as the march. Luckily, Ward and the power of Twitter saved fundraising with a PayPal fundraiser account. A day before the march, they were able to raise $686, just enough to pay the first responders that helped keep peace at the location. Still, due to “4ocean’s” same-day scheduling, the student planners could only hope for a good turnout. Despite the setbacks, the students still received ample support from the community. Alumnus Alec Chao lent the teens a generator, and Heartway Church showed their support through donations. All in all, their work reflected the revelation of teen voice impact. Parkland’s movement showed the world teens could speak and be heard, now teen movements like Zero Hour have taken shape following Parkland’s lead. 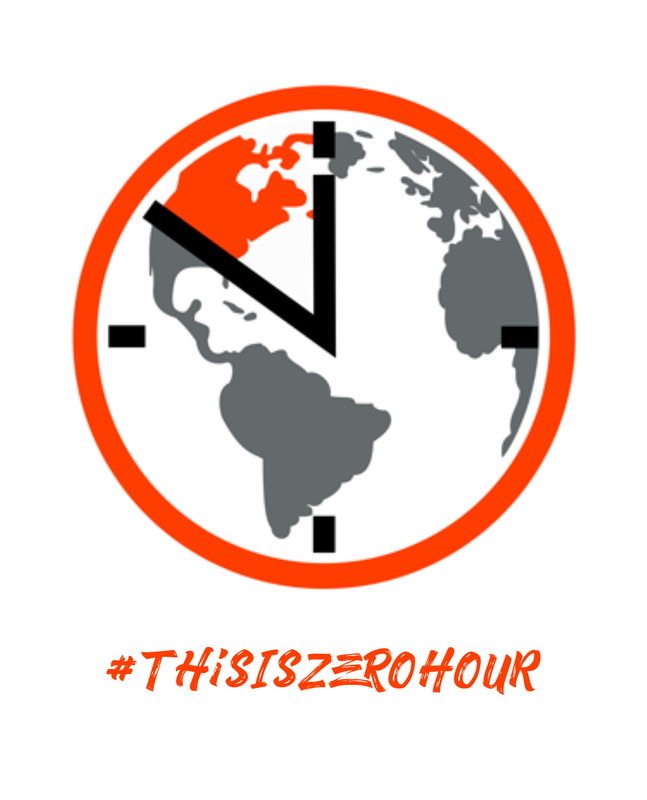 As for Zero Hour, the Fort Lauderdale Branch’s group of 8 student planners ranging from American Heritage sophomore to alumni will keep trying to empower Generation Z to work against climate change during its last hour. Next Story Next post: QUIZ: Which summer recipe should you try?